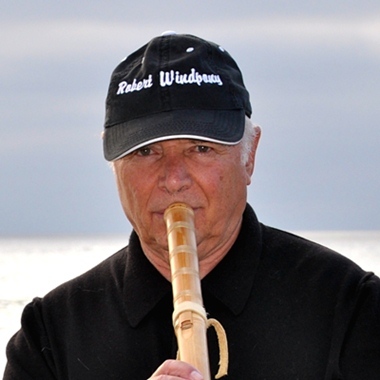 Robert Windpony plays haunting and mysterious native flute music solos, fusing World, Folk, Alternative, Meditation and New Age genres. Each song has an ethnic and spiritual sensibility, with various tempos, moods and techniques. Robert performs in response to the native wisdom, "It doesn't matter what you do for a living, what matters is what you ache for and if you dare of meeting your heart's longing." Residing in the southwest, Robert's journeys through deserts, high plateaus, and mountains provide the musical and spiritual inspiration that makes his music unforgettable.